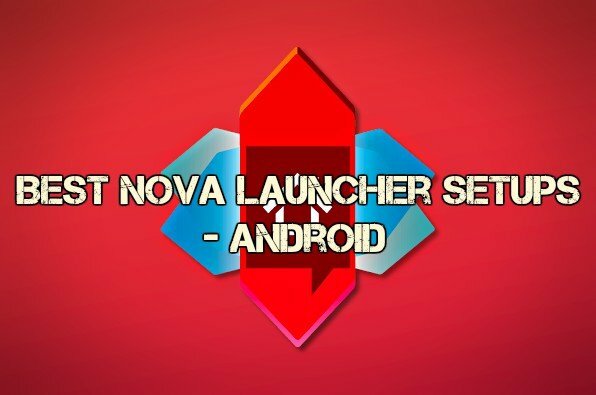 Nova Launcher Themes are the third party launchers built for Android devices that offers an endless amount of customizations. You can not only customize your Home screen but Widgets, Icons, Folders, App Drawers as well. 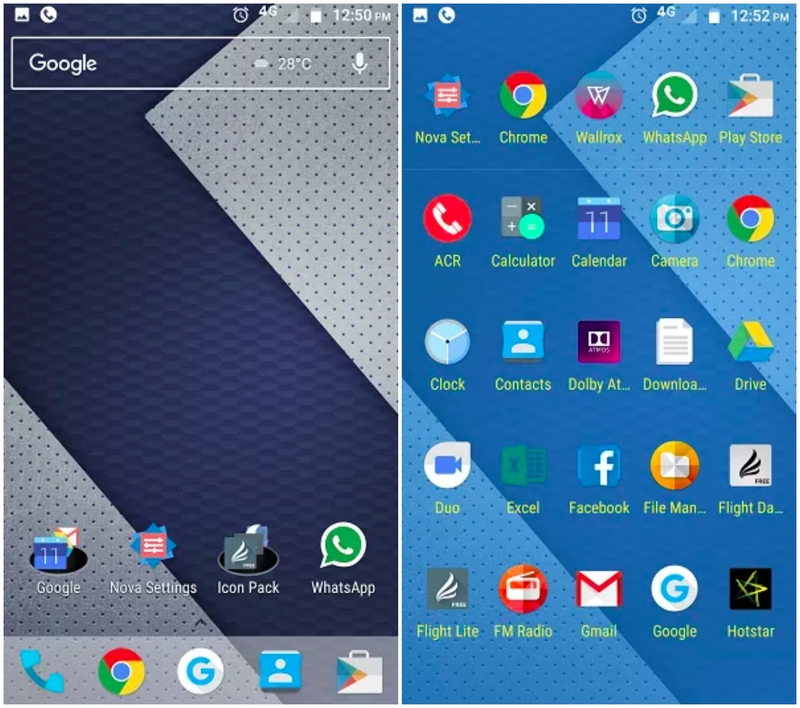 Google Play Store has thousands of Android launchers, but nothing is capable of beating Nova Launcher in terms of speed and simplicity. You can change the looks of your Android to make it more exciting and gorgeous. 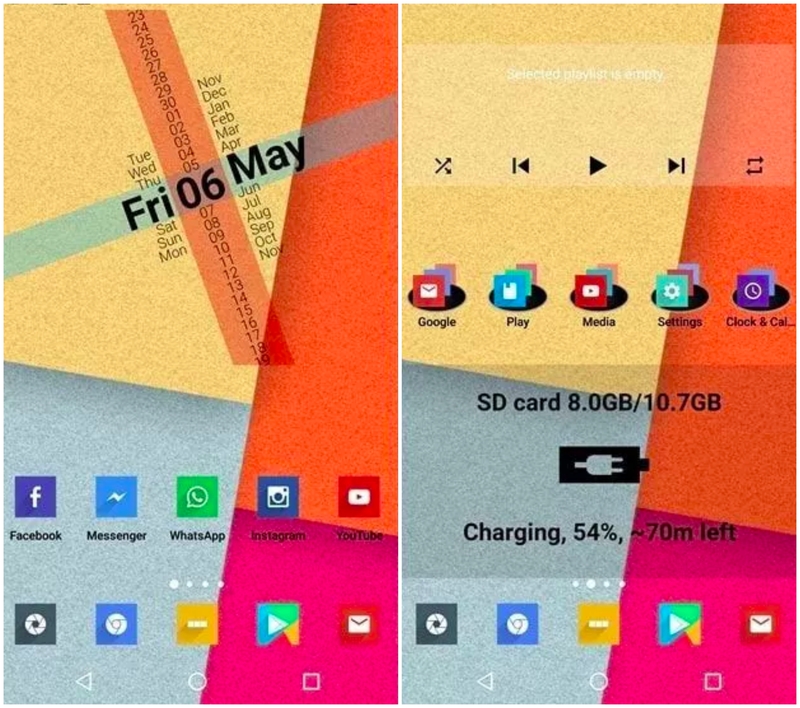 A lot of people are actually using Nova Launcher to customize their device, but many of them do not know how to make the most out of Best Nova Launcher Themes, Setups, Icon Packs. Nova Launcher offers a lot of customizability, but it lacks the feature of changing themes. 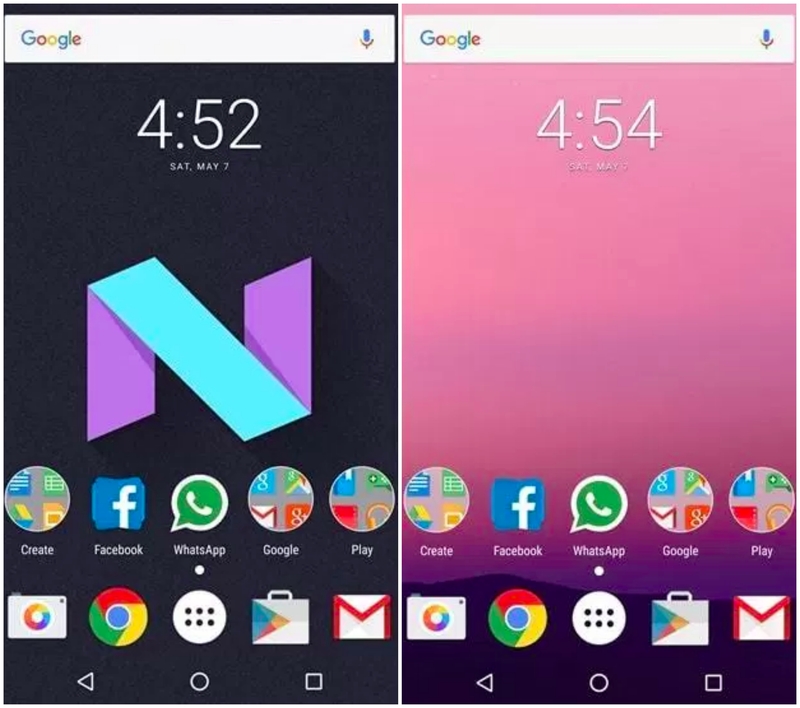 Therefore, you have to install Nova launcher icon packs apps created by third-party developers to change the theme for your device. We’ve managed to crack down some Best Nova Launcher Setups, and Icon Packs along with Themes for you, here they are. If your favourite or lucky colour is Blue, then this would a perfect fit for you. The blue wall theme is all about glorifying the blue colour. You will get blue backgrounds, wallpapers, icons, etc. with this theme. However, the suggested icon pack to combine with it is the Moonshine Icon app. Both the app fits very well with each other to give a blueish look to your Android device. 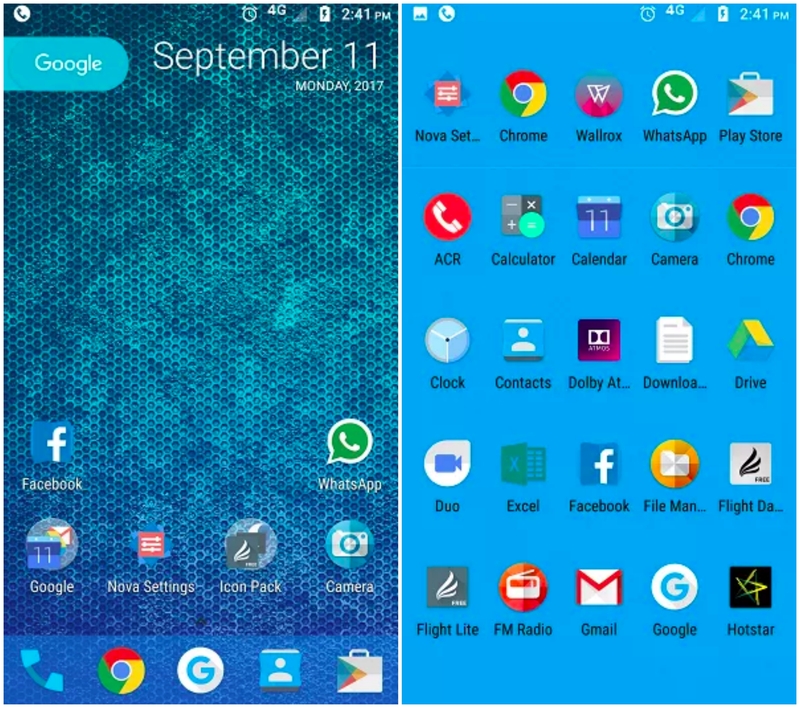 Background >> Arc, Widgets background color >> Blue, select Icon pack color as per your wish. You can select also select the Background colour transparency as per your preference. Nougat Launcher Theme is an interesting choice for those who would like to experience the Nougat on their android device. Well, You won’t get the Nougat version on your Android (Which is obvious). Only launcher and looks will be effected with this Nova Launcher theme. You can combine the Moonshine icon packs with this one. Also, the result would be DOPE. Usage: Open up the Nova settings >> Go to icon color settings >> choose the Yellow colour, Folder Preview >> Select Disc option. That’s it; you can customize the icon packs according to your style if you like to. Just make sure you select the correct wallpapers from Wallrox wallpaper app. 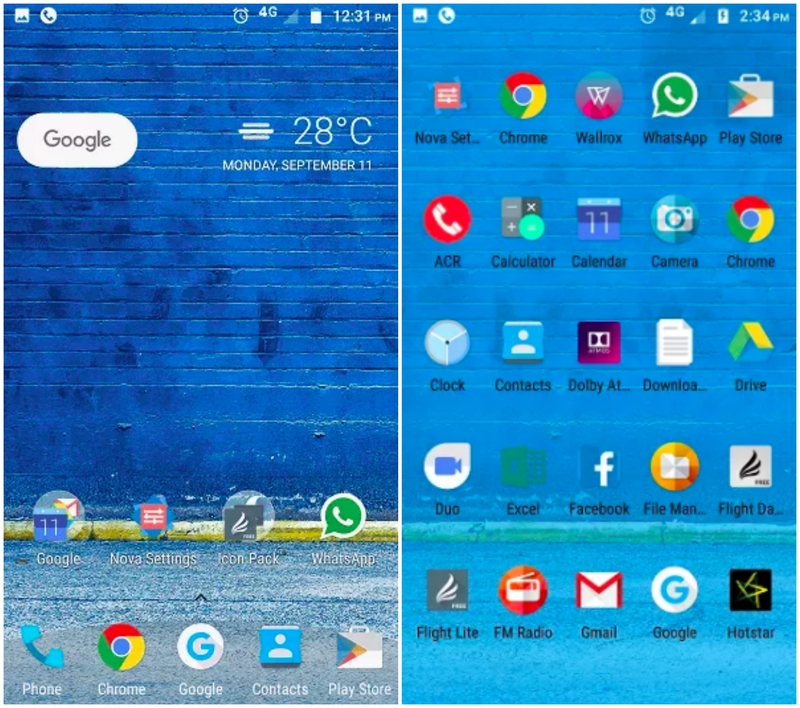 the Vibrant Color theme is an energy-packed nova launcher theme that could turn your odd looking launcher into an exciting one. Well, Vibrant Color theme requires a different icon pack called Pixel icon to be combined with. 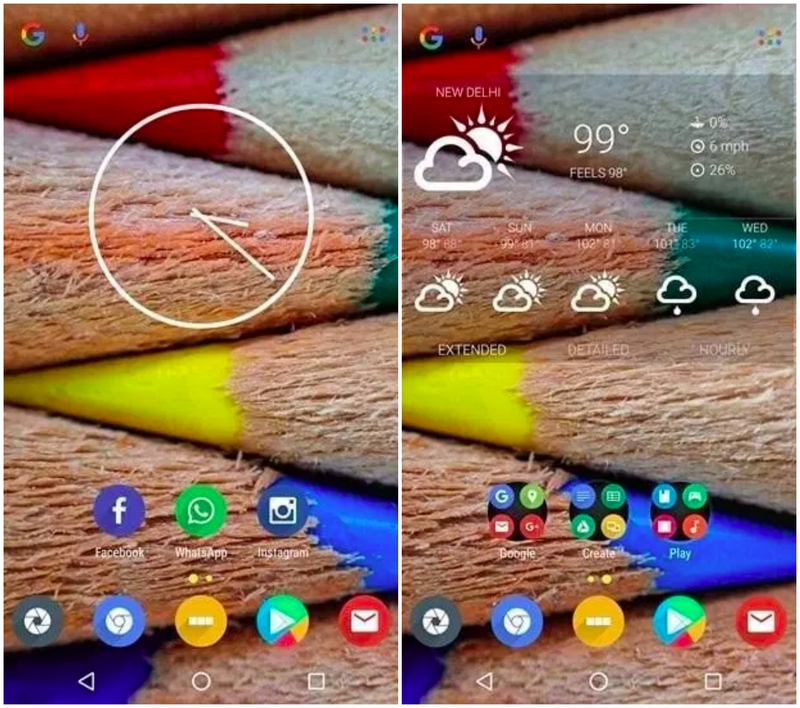 If you would like to have an artistic kind of look on your Android device, then Vibrant Color Theme is right here for you. Monoshrine icon pack will also work, but pixel icon has a lot more options. 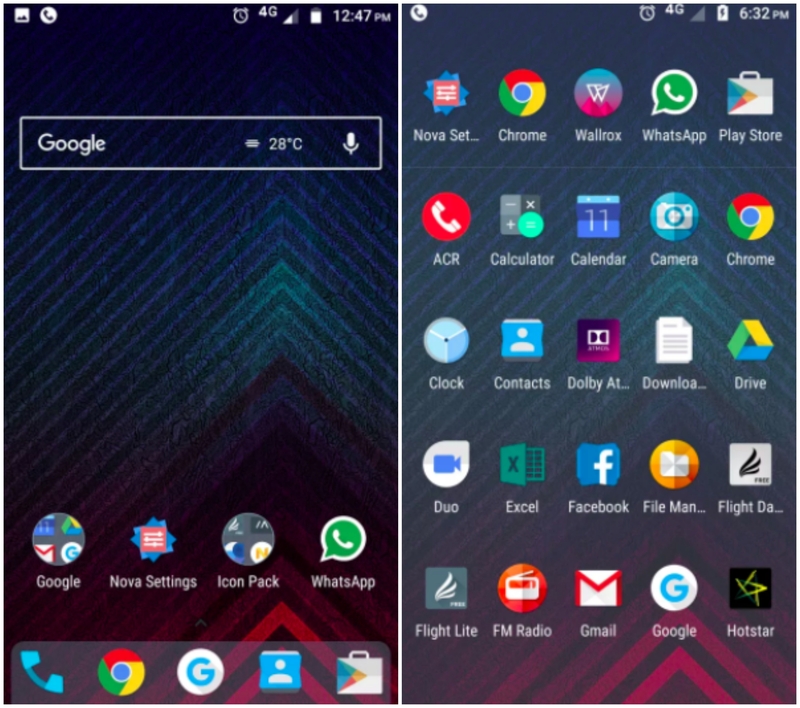 Usage Guide: Firstly, open up the Nova launcher settings in the app >> select Dock background >> choose the Pink colour, Shape setting must be set to “Rounded” with transparency as per your wish. Now select Search Bar >> Full screen and square. You can take the wallpapers from Wallrox app and pair it up. 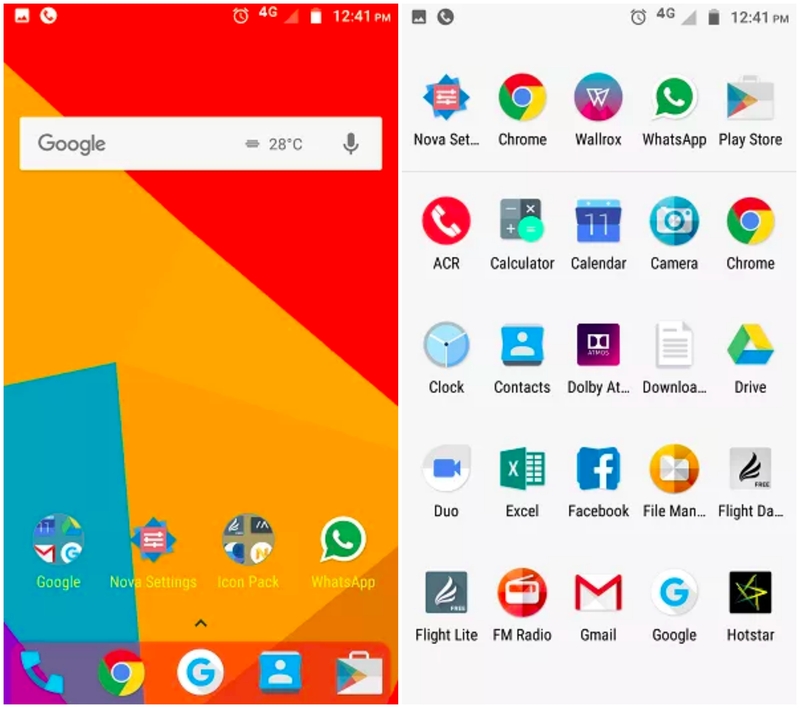 HoneyComb Nova Launcher theme provides a premium classic sort of look to your Android device. You can get this look on your device just by using a simple icon pack called Polycon. To be honest, it requires a bit of self-experimenting and customization efforts to get the premium look. You will have to play with the settings for a while to get the hang of it. Refer to the usage guide to get an idea of this theme. Usage Downloads: At first, open the wall rod wallpapers app and choose any premium looking wallpapers that fit your device. Now go to Nova’s settings: Select Dock Shape as Arc or Rectangle, Blue background colour, Folders >> stack, App drawer background >> Blue. The recommended transparency levels for this theme is 59%, but you can change it as per your requirements. This one caters the audience who wants to have some sort of sci-fi and fantasy type of look on their device. Earthview by Martin wallpapers features the beauty of our planet in various angles. In simple words, Earthview is basically a high definition satellite image or view of planet Earth. You can select from various different angles and photos to add variety on to your device. Usage Guide: Open Wallrox app, search for Earthview By Martin and download the wallpapers. Now open the Nova’s settings, choose Blue as Icon Text colour. Dock design as Arc, Color- Orange, and Desktop layout as Yellow. Set the transparency level to 59%-65% ( according to your comfort) That’s it, now you’re all set to experience the best Nova Launcher themes. Flat Colorful Theme is one of the cool nova launcher themes for Android devices. It comes with a colourful wallpaper and flat icons by default. You can customise the icons, wallpapers with the icon pack apps, wallpaper apps. Usage Guide: Open theme Settings >> Icon Size Desktop and Dock – 110%, Desktop Scroll Effect – Wipe, Animation – Relaxed, Folder View – Stack. Those are my personal favourite settings, you may change them to your meet your taste. You might have come across “Night Mode” in which the background will be turned to black from white. The same happens with this Dark Nova theme as well but with few other improvements such as Icon Backgrounds, App Drawer Background, App Backgrounds will be changed to dark mode. If you are the one who loves black (dark), give it a shot definitely. Usage Guide: Open up the Settings of the Dark Theme and make some changes such as Night Mode – Always, Search Bar – Turned on, Search bar type – Bar Style 1 or Bar Style 2 or Bar Style 3, App Drawer Night Mode – Always. Fun Theme is one of the famous Nova Launcher Themes 2018 with cool features. It carries some really cool icons by default that gets the looks of picsart, cartoons, etc. Give it a shot if you are looking for a light weighted theme that don’t consume much of your device resources. Installing thid party icon pack apps, wallpaper apps, widgets will get you the maximum control over the theme. The icon packs app, wallpaper apps provided above supports Nova, Apex, Asap, Aviate, Lucid, Smart, Yandex, Total, Atom, Nine, Next Launcher, etc. Usage Guide: Open up the settings of the Fun theme and navigate to Desktop Scroll Effect – Zoom Fade In or Zoom Fad Out, Scroll Effect – Yes or No, Icon Size – Default. Try out the simple Lines Theme that comes with decent and well-patterned lines to provide you a cool look. You may have come across vibrant, colourful themes but this one is pretty cool if you like being simple. Download and Install Line theme on your Android device and enjoy the super cool user interface with some playful icons. Of course, you can colourise the theme by adding icon packs and wallpaper as well. Usage Guide: Open up the settings of the Lines Theme and navigate to Icon Color – Black, Dock – Round Bar (or) Square Bar, Transparency – 70%. An android device with patterns of mismatched light colours will get you the best ever look in terms of UI. If you would also like to get such look to your Android smartphone, try Colorful Nova Launcher Theme. The default icons, wallpapers of this theme is more than enough to say this is the best one of this kind. Well, you can customise the theme to match up your taste, check out the apps provided below and go through the usage guide as well. Usage Guide: Configure the settings for the best look and feel; App outline, background – square or circle, Page Indicator Color – Yellow or Blue or Brown, Red. Search Bar – Bar Style 3, Bar Style 2, Bar Style 1 and Logo Style 5 to Logo Style 1. Folder Preview – Grid, List. If you are a fan of SuperHero or Batman, this is for you. 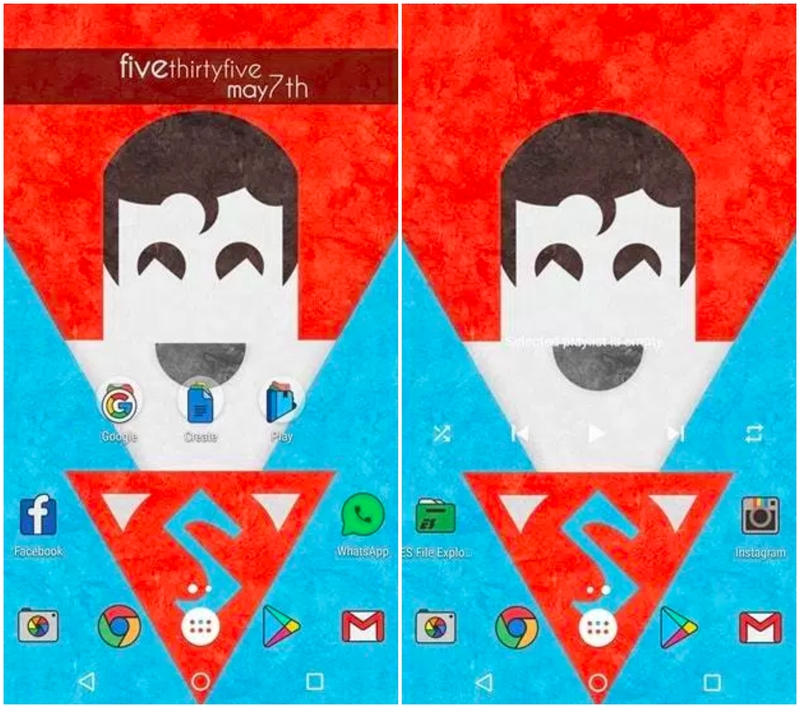 SuperHero theme is a special one for all those trying to put superhero as a wallpaper or screensaver. 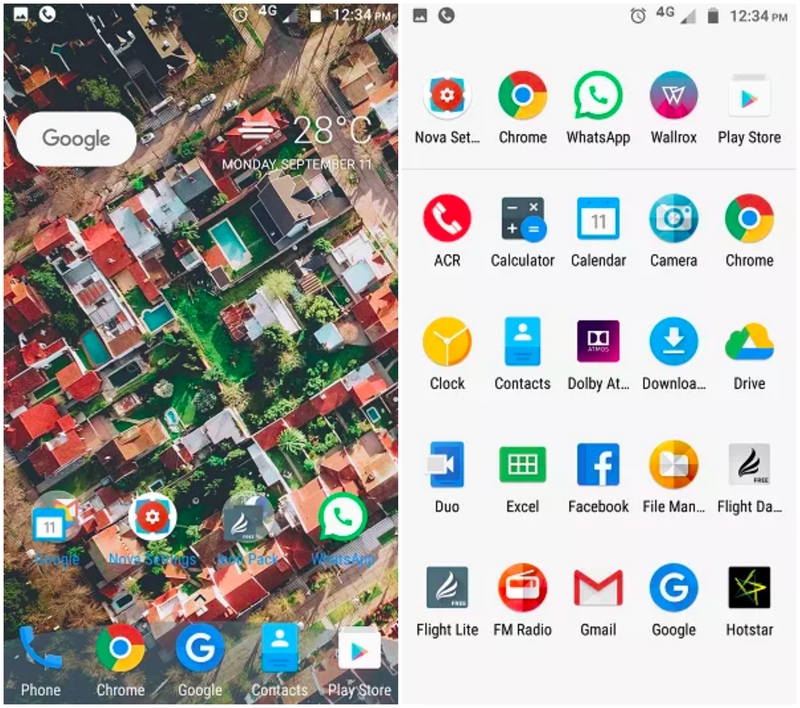 The simple user interface of this theme is more than enough; the app drawer in this theme is completely different from the other ones listed in this article. You can customise the theme right from the app drawer settings and apply various cool effects and icons with the third-party apps. Usage Guide: Open up the settings of the launcher, Transparency – No, Dock Background – Grey or Black, Folders – List, Grid. Landscape theme is all about how you would like to organize your home screen with wallpapers, every day. The theme will automatically do that and the suggested/pre-loaded wallpapers of the theme will get your device a new look. The landscape theme can change the portrait images/wallpapers into Landscape look so as to make it responsive to the device. Usage Guide: Go to settings and open up the theme settings, Notification Bar – Hide, Folder – View, List, Grid, Background – Landscape Wallpaper. Metals do have their unique qualities with one another; Color – the same way. Moreover, the same colour can be seen different on metal to wood, cloth, or a poster; so there is a difference and that difference is a dependency factor of material absorbtivity, reflection, etc. Not much into technicalities, but the metallic nova launcher theme is the best one that gets the metallic colour combination look to your smartphone. Give it a shot if you would like to try anything new and innovative. Usage Guide: Folder View – Stack, Grid, Icons, List, Background – Disc, Desktop scroll effect – cube, square, spiral. Customise the theme according to your taste and make your device look beautiful. If you’re not comfortable with the plethora of colours, then Min Icon pack can be your thing. People who are looking for something minimalistic can opt for Min icon pack. The good thing is that you can pair it up with any other themes and wallpapers as you like. Mini Icon pack delivers pure white icons for apps and backgrounds as well to make your device look simple and clean. Of course, not everyone likes simple stuff, but some do. Usage Guide: Download the Mini Icon pack and install it on your device. After that open the app and make the settings according to your preference. Select wallpapers from your gallery or download it from Wallrox wallpapers app. Your launcher would look clean with minimal widgets and other stuff. Polycon Icon Pack is designed with the material design iconography that gets the best look to your smartphone with metallic looking icons. Get this icon pack and give your smartphone a new look just like me, I personally use this most of the times. You can also customise the icons with different colours, patterns, etc. Moonshine is one of the latest Nova Launcher Icon packs for Android based on Nougat (Android N). The builtin combination of the wallpapers and icons will make your device look awesome. When it comes to user interface, look and feel, Moonshine is the one who should not miss. Moonshine Icon Pack comes with two types of icons (rounded, square) apart from the colours, style; you can opt any of them. All icons of the Gold Icon Pack will be turned into golden colour; everything will be seen gold on your device. If you like wearing gold much, you can opt for it. You can put any suitable wallpaper to match up the Gold Icons or else, the built-in wallpapers are more than enough. The Devo Icon Pack is a premium app where you will be getting the Dark and Circular icons. This icon pack carries more than 2000 icons, 8 HD wallpapers (suitable), Dynamic Callender support, Material Design App (search and replace any icon). App Updates will get you all latest features time to time; don’t miss even a single update. Devo Icon pack supports Custom Android Launchers; you can install any launcher to design your Android device. The name of the icon pack indicates everything what it carries, what it helps. It carries more than 800+ icons, Cloud-based material wallpapers, 8 Zooper templates, icon request tool, etc. Cygnus Dark Icon Pack supports more than 30 launchers, you can install any of them to get wonderful layouts, wallpapers along with these awesomely awesome dark icons. Alos Icon Pack is also a premium app but it’s currently available for 50% off sale. It has 4000+ icons to choose, a lot more to come in future updates. Alos carries 31+ HD wallpapers that will amaze your device with the new looks, wallpaper-icon combination. Dynamic calendar icon support will get you a beautiful look along with the incredible details (date, information) on the screen. Compatible with hundreds of widgets and custom launchers. Voxel Icon Pack is one of the finest Nova Launcher Icon Packs for Android 2018; let’s discuss how and why?. If you ever come across Windows Phone icons, you would definitely love this icon pack. All the icons are well organised and awesomely shaped (square). More of it, this is a free icon pack that carries a lot of great icons and wallpapers to add. The material design dashboard is pretty well and nearly 1 – 2 updates per month will fix all bugs and issues related to it. If you are a fan of Dark Nova Themes, you should give it a try. The Glim Dark Icons carries a long shadow with unforeseen colour combinations. The material palette design is way better than any other icon packs provided in this list. You can find Dynamic Calendar Support, Dock Support, Smart Icon Request tool to customise your Android device with all important factors. Elun Icon Pack comes with the rounded icons that are correctly shaped and organised and carries more than 4000 icons to choose. All of them are placed in different categories with search and organise feature to make the best for your device. The MUZEI live wallpaper support is one of the awesome features of this icon pack as it does not need any third party wallpaper apps. The regular weekly updates of this icon pack will solve all minor bugs and issues associated with the device. Let me clear your doubts first; Nova Launcher setups are not apps but settings and tweaks you should be making. On a rough note, uninstall third-party apps that deliver Advertisements on your device which is very annoying and try to make things look simple and easy to handle. Manage icons into groups by categorising them accordingly. 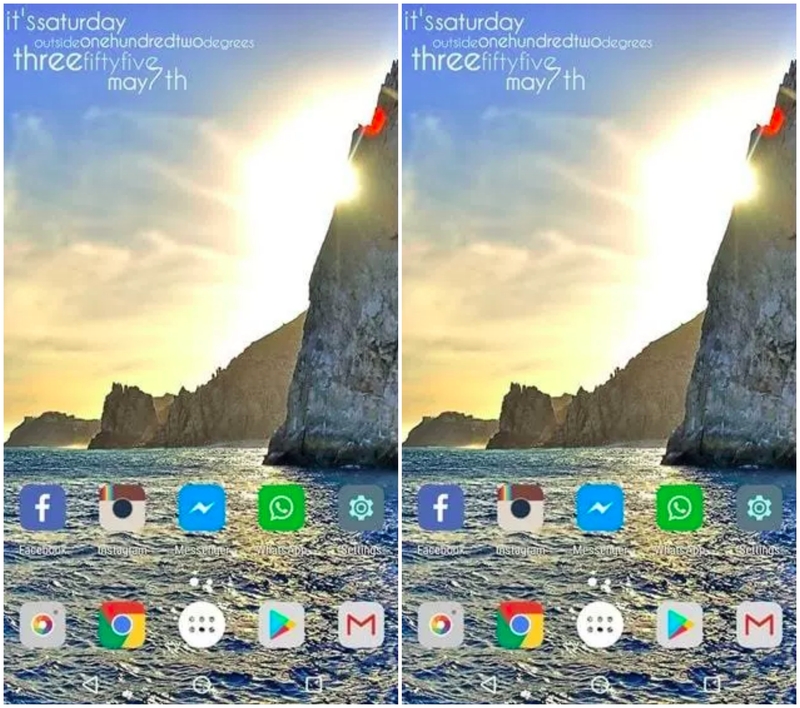 Arranging social media icons into one single dock, banking apps into another dock will save your time searching for them from the group of uncategorised apps. Once you are done with the icon arrangements, grab some pretty widgets for your smartphone. 1Weather is one of the finest weather apps for Android devices (varies from top end to low-end devices). You can track, forecast the present and future weather conditions of “My Location”; undoubtedly, your location and get the real-time updates on weather information. You can check temperature, humidity level, wind range, rain indications for any location right from your location using the 1Weather app. 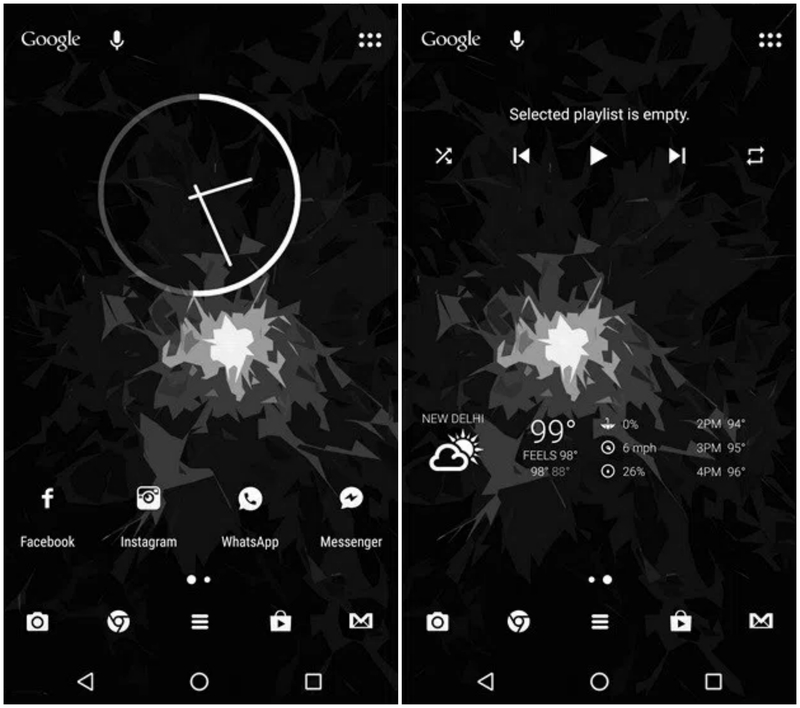 1Weather works pretty well with all the Nova Launcher Themes and Icons Packs provided in this article. Zooper Widget is all you need if you have a new Android device or if you are trying to make wonderful changes to your Android smartphone. It has inbuilt fonts, wallpapers, set of icons, bars, math expressions; you don’t need any third party apps. This widget will display the information the way you like. This widget along shows you weather for coming 7 days (forecast), moon rise, moon set, illumination percentage, battery percentage. System information like Uptime, SD card information, Next alarm, Events, Notification updates will be shown in a way you don’t expect. Both free and paid versions offer the same but the pro version comes without any advertisements. 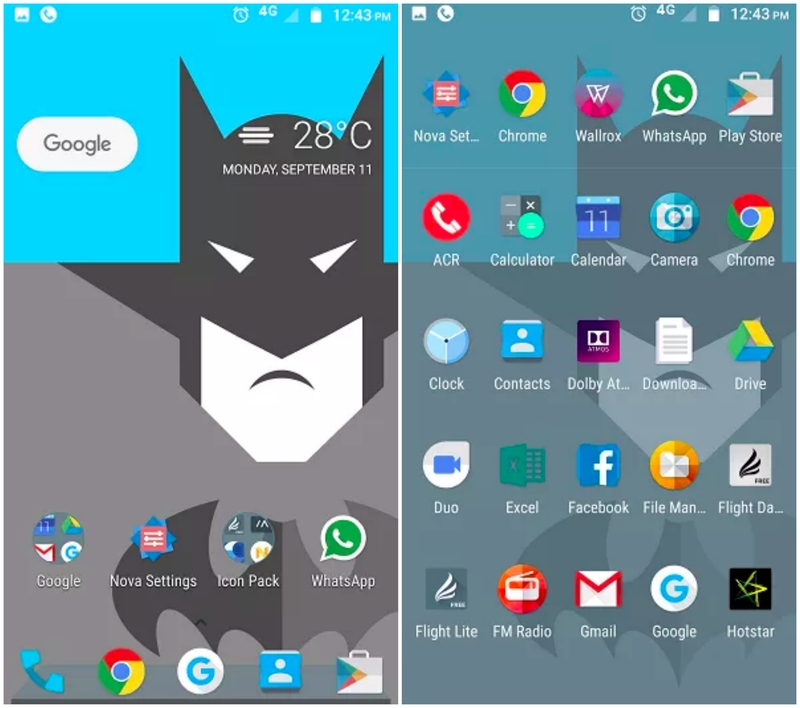 It’s the most powerful custom widget maker that can change the entire look of a newly installed nova launcher theme on your Android device. Create your own designs, layouts, patterns, styles with WUSIWYG (What you see is what you get) editor. The custom live wallpaper tool is pre-built along with this widget which will make your day much better with the live wallpapers. Moreover, it will add styles to the music players, video players, text widgets, weather widgets in a single go. This is yet another awesome widget by Buzz Launcher that supports Nova Launchers as well. It comes with an awesome tool “Custom Widget Editor” which was opted by more than 15 million users. You can apply 1 lakh+ widgets with just one single tap; customisation is easy as well. Seamlessly apply the customised styles, music, weather, battery, clock and date widgets to make it one of the prominent widgets out there. I have provided a list of top 33 free nova launcher themes, icon packs and setups for your Android device. If you go searching them anywhere, you must spend a lot of time to group all best ones but you can choose all of them right here. I am not sure all of them are; few of them are paid and of course, the user experience and other things will show impact on both free and paid versions. I always Love sharing useful stuff with all who deserve it. I won't speak but the stuff I write.